Four Cocovie coconut products made their way into this recipe. Coconut oil is being hailed as the second coming to restore memory loss associated with Alzheimers. Even Dr. Joe Schwartz has said that 2 tablespoons a day may not be a bad idea. Coconut flour has the advantage of being gluten free. Coconut vinegar tastes similar to apple cider vinegar. Coconut sugar is reportedly a healthier form of sugar. I have no idea which of these claims is true, but I do like the taste of coconut. Spread 1/2 tablespoon of coconut oil on the fish. Combine the flour, salt, pepper and onion powder in a plate. Lay the fish in the floured plate to coat. Using a hot skillet, sear the fish for 4 minutes per side in 1 tablespoon coconut oil, adding a bit more as required. Place the fish on an ovenproof dish in a preheated 380F oven for 6-8 minutes. 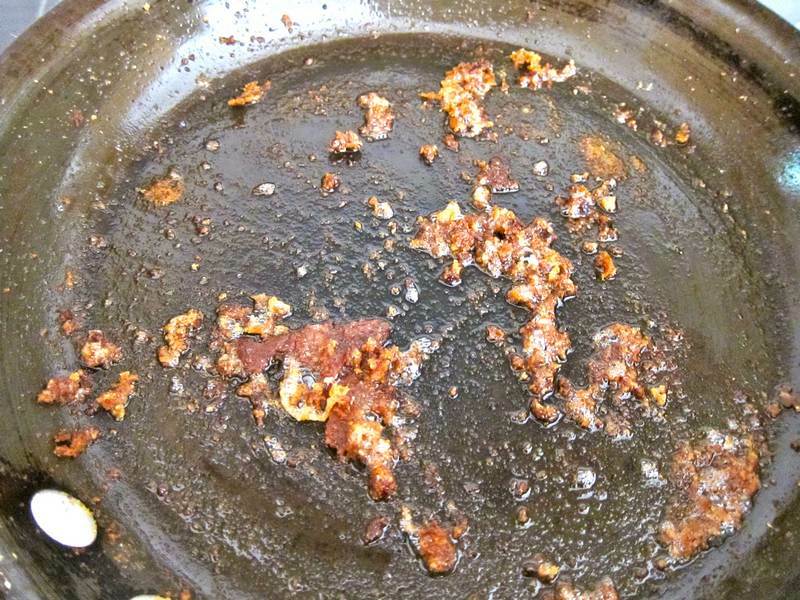 Deglaze the pan with 1/2 tablespoon of coconut oil. 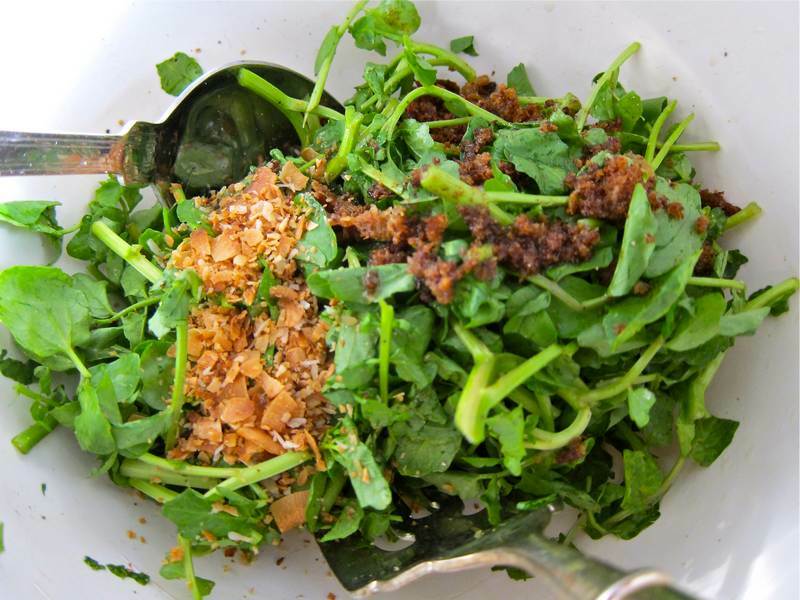 Dress the watercress with the pan drippings, vinegar, salt, pepper, sugar and some coconut flakes. 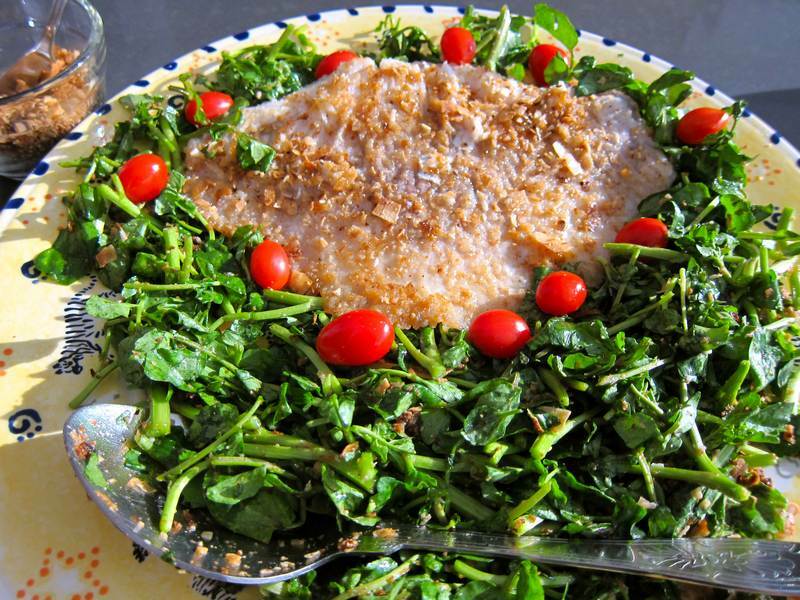 Toss and surround the skate wing on a platter with the dressed watercress. 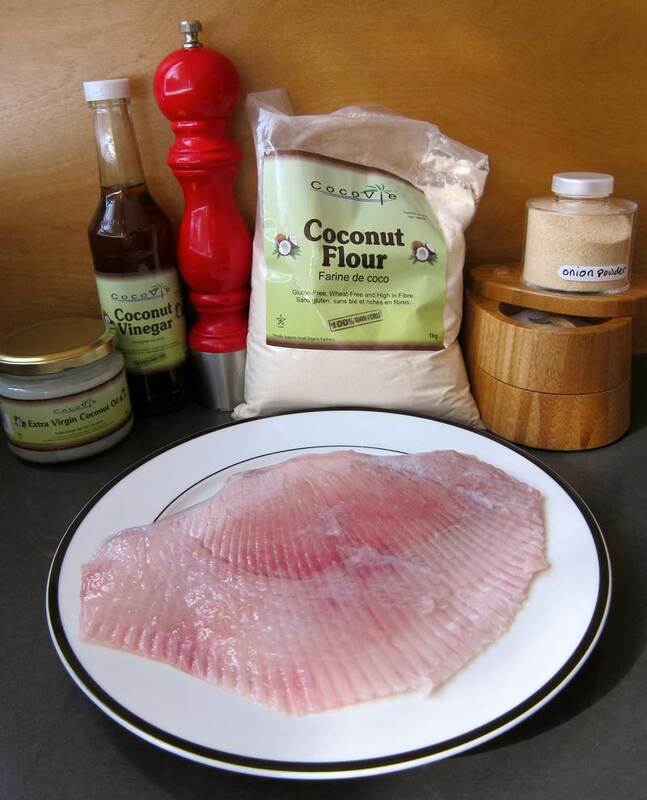 Garnish the fish with coconut flakes. If skate wing is not something you care to try, any firm whitefish can be prepared the same way, cooked about 3 minutes per side. Serve with rosemary roasted new potatoes. How many of the 40 Best Cities in the World have you visited? See the movie Beasts of the Southern Wild. The movie is called deep, symbolic and poetic. The soundtrack is hauntingly moving. The main character and narrator is the unbelievably talented, six year old girl, Hushpuppy (played by Quvenzhane (Kwah-vahn-JAHN-ay) Wallis. Do I hear Oscar buzz?